Eat. See. 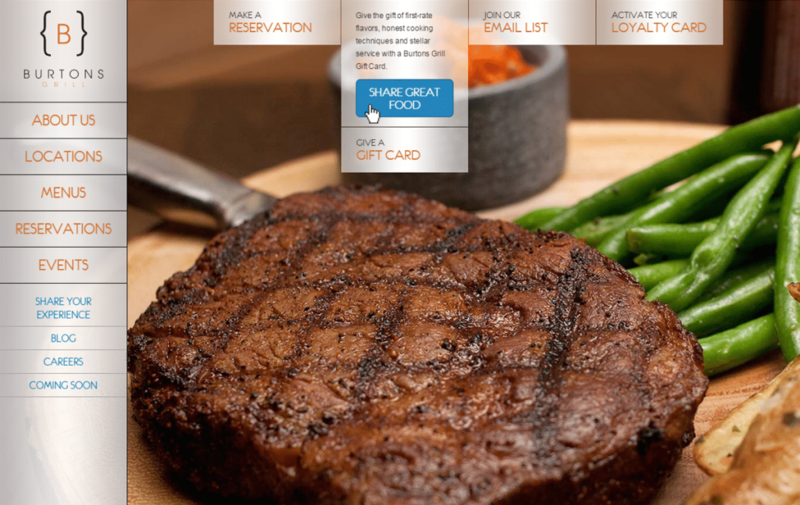 Make A Reservation. 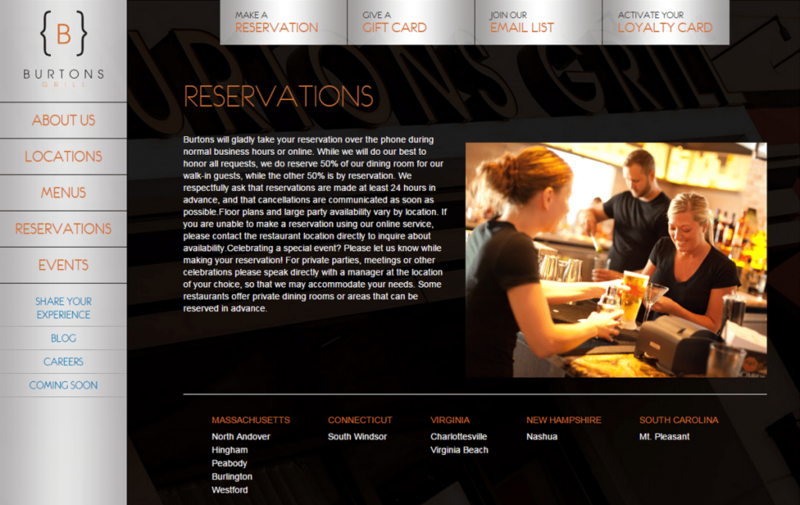 Burtons Grill is an upscale, casual restaurant with 10 locations and soon to be 11 with their new restaurant in Alexandira, VA coming soon! 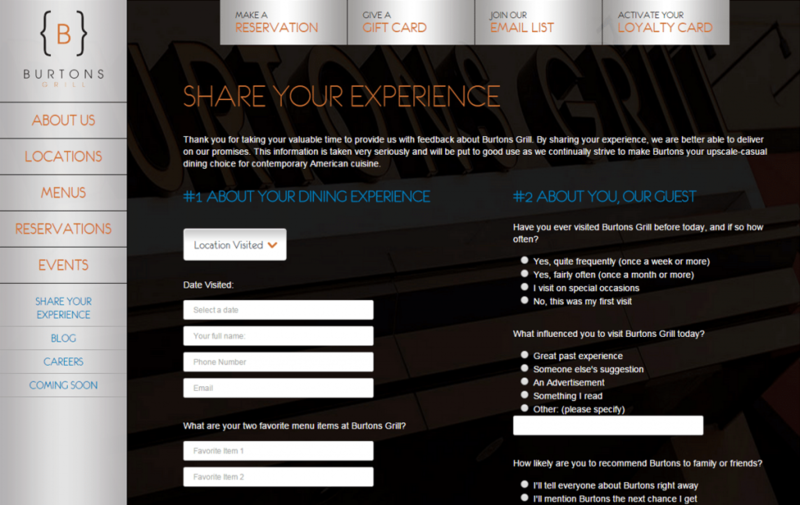 GoingClear helped by working with Burtons management team and listening closely to what they wanted out of their new website. We learned that they were interested in a gorgeous full-screen Home page Slideshow and incorporating their new blue color to brighten the overall look and feel. 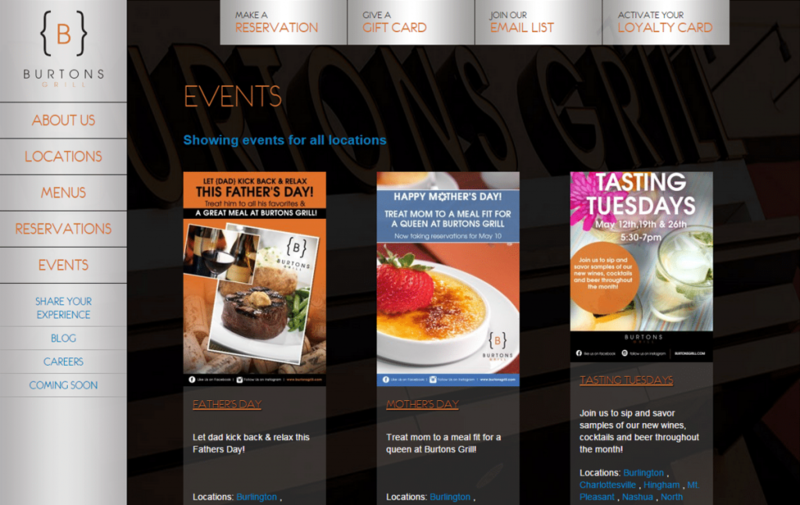 As part of the new design, GoingClear focused on making directions and menus easy to find for each of Burtons Grill locations. We even added a custom google maps to the bottom of the location pages! 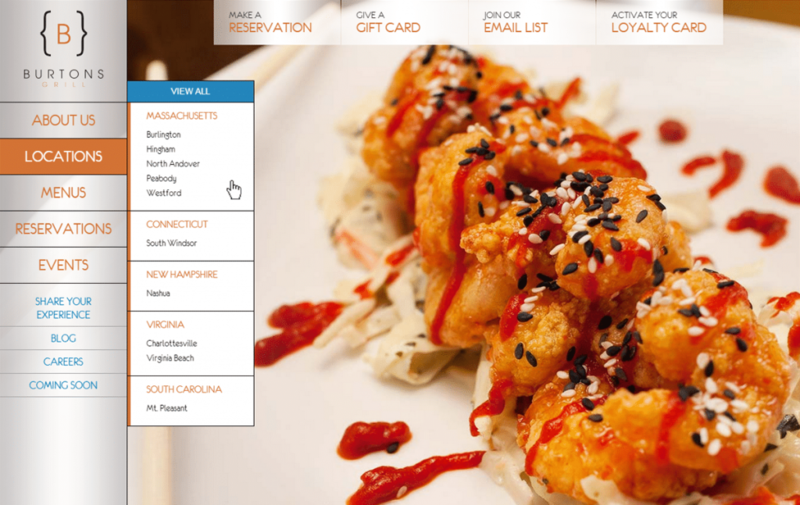 Other awesome features include a custom Events blog post page with all events broken down by location, and a seamless back-end website CMS administration area so the staff can make updates to their restaurant on their own. 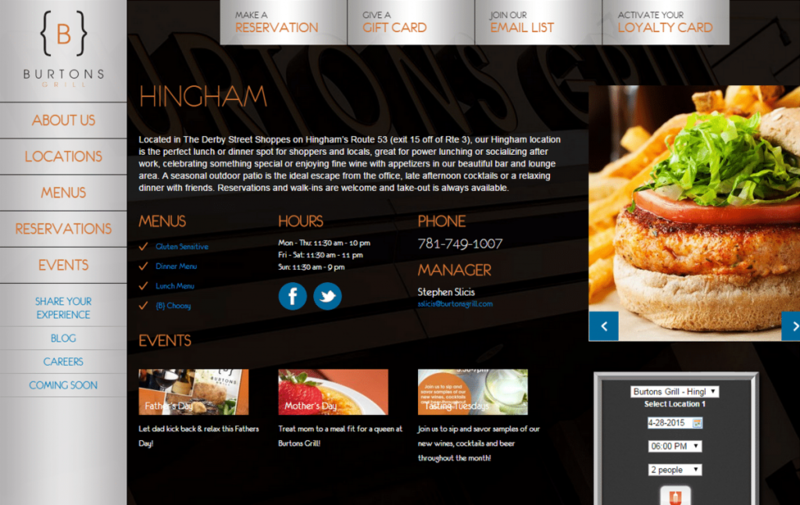 The new Burtons Grill website is also Fully Responsive and mobile and tablet friendly so visitors are guaranteed to have a meaningful experience with high-quality photos no matter where they are.